Fitness clubs depend on their communications system to interact with guests and manage their staff. When that system goes down, business stops and relationships begin to suffer. When the Adirondack Club could no longer depend on their system, it was time to make a change. The Adirondack Club turned to Star2Star to get their business back on track by resolving their communications reliability issues. 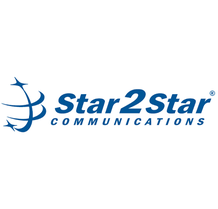 Read more to discover how Star2Star was able to revolutionize the Club's communications and cut their costs.